It's time to sew waist yokes to the skirt panels and to assemble the skirt. 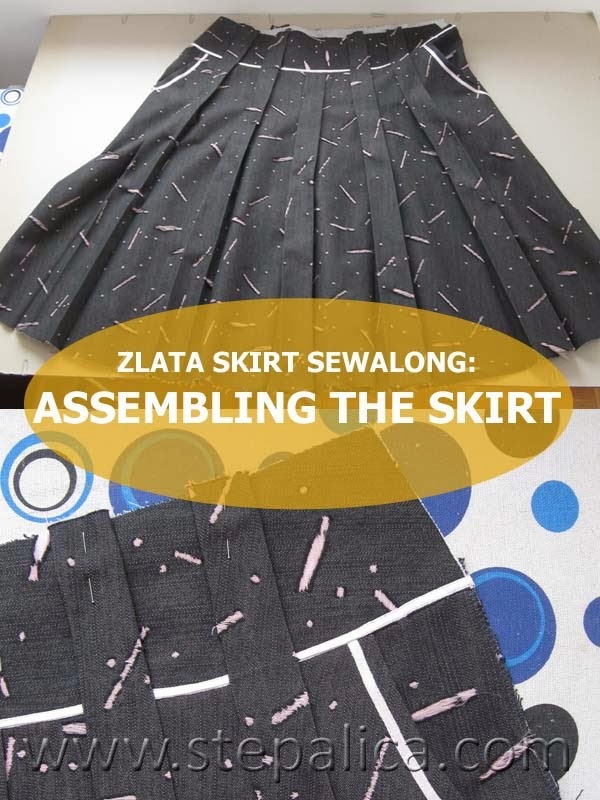 After these steps are completed you'll have an idea of how the finished skirt will look, and you'll finally be able to try it on. Fuse the fusible interfacing to the wrong side of waist yokes - to both front and back panels and their facings. 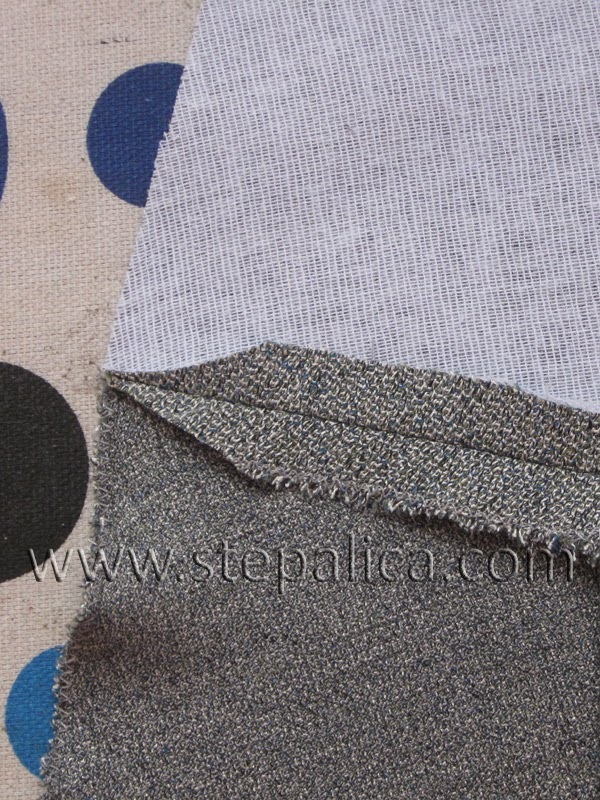 Choose the interfacing according to the fabric you're working with - the heavier and thicker fabrics call for heavy weight interfacing and vice versa. Since the view C is the easiest to work with, I'll show you how to attach the waist yoke on this variation first, and later on I'll demonstrate the technique for the views A and B. So, with right sides together, align the bottom edge of he waist yoke with the top edge of the skirt panel. Pin the layers together at the center of their width. Then pin the side edges of the panels. Using a dense set of pins pin the layers together along their width. Sew the pieces together and press the seams open. 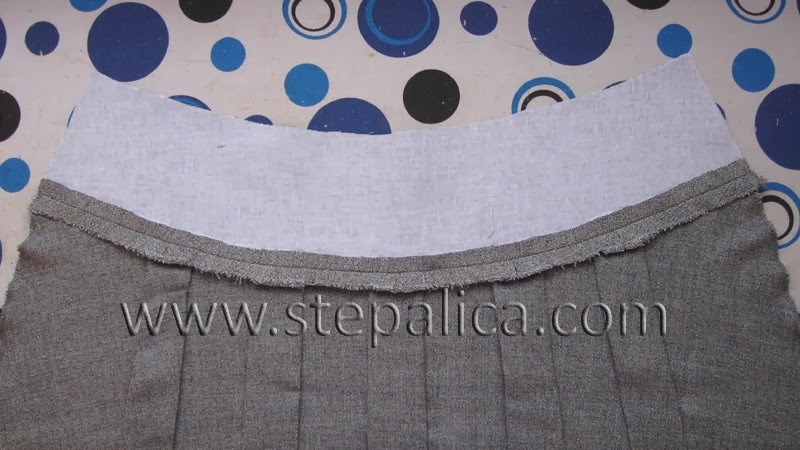 Repeat the process on both front and back skirt panels. 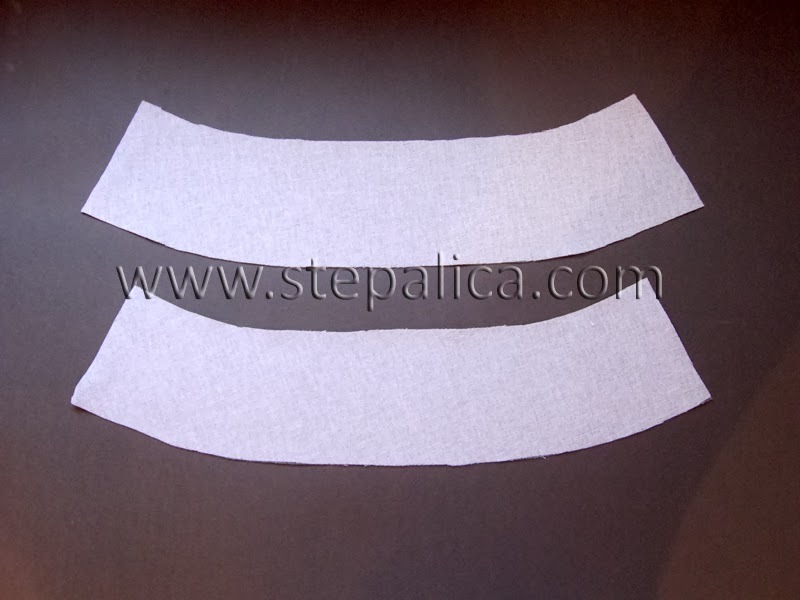 Optionally, clip the ends of the SAs, in order to reduce bulk on the side seams. I usually clip the SAs on all medium to heavy weight fabrics. Let's get back to the views A and B. I will use pics from both of the skirts, in order to show you all the necessary details you need to pay attention to. So, fold the belt loops towards the right side of the skirt panel, pulling them away from the top edge of the panel as much as possible. 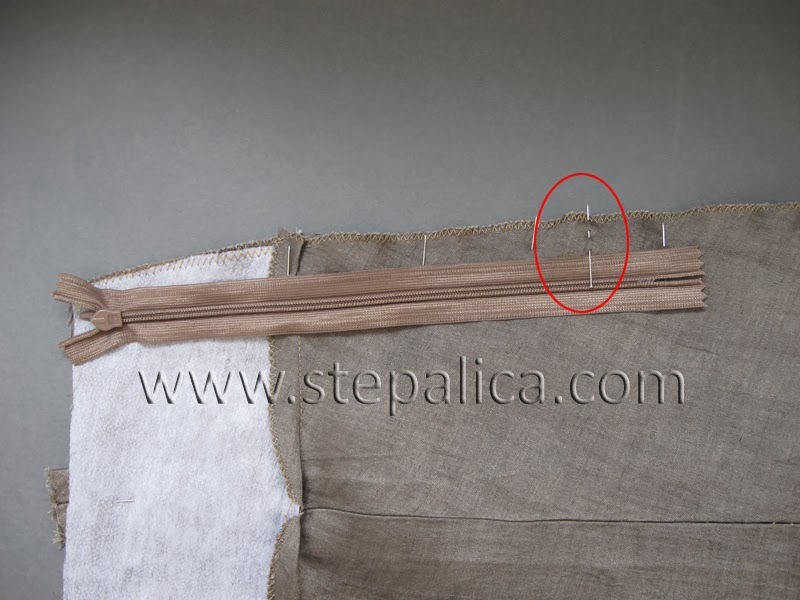 You need to clear the top edge of the panel in order to continue sewing. To secure the belt loops from moving, I advice you to pin them to the skirt panel. 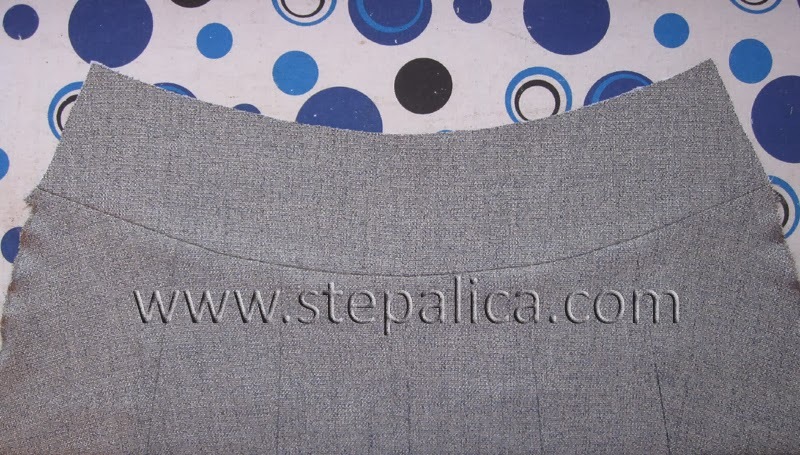 Sew the waist yoke to the skirt panel using the previously described technique. Make sure the stitch line is placed as close as possible to the bottom of the belt loop; also make sure you're not sewing over the belt loop. 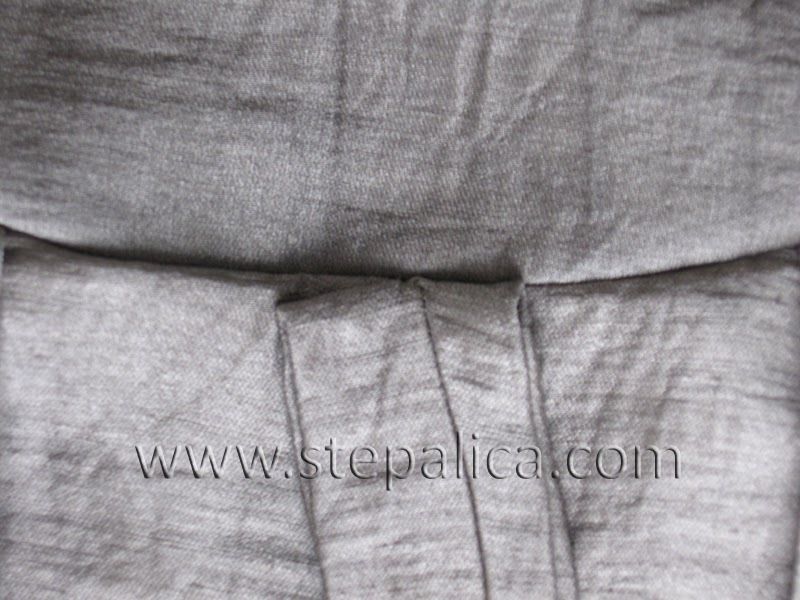 This is how the seam should look from the right side, with belt loop folded down. 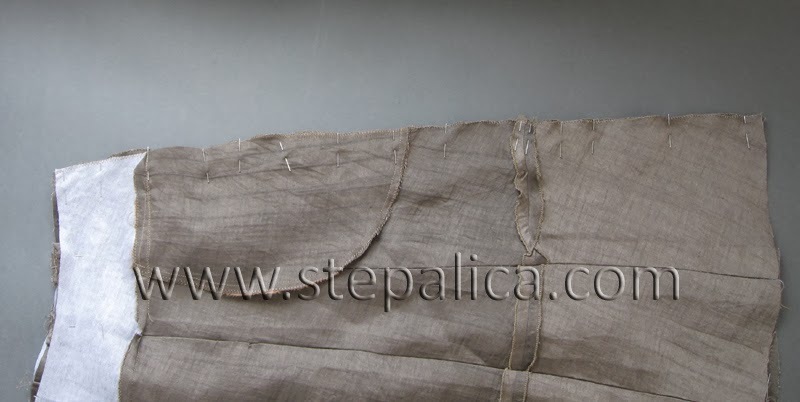 If you notice the waist yoke isn't sewed properly, and there is some space left between it and the bottom of the belt loop, like shown on the picture below, try to fix this and repeat the stitching on that area. 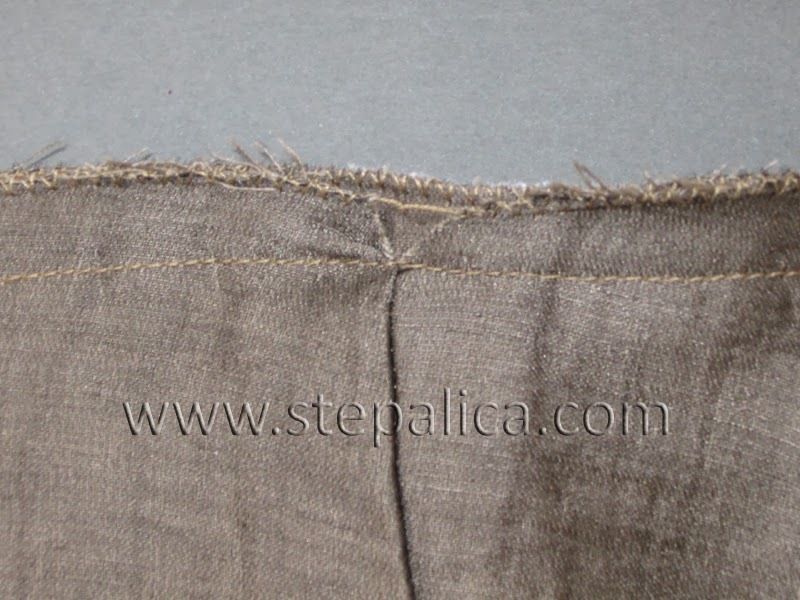 This is how the stitch should look from the wrong side of the fabric. The V shaped cut on the SA is a bottom of the belt loop. 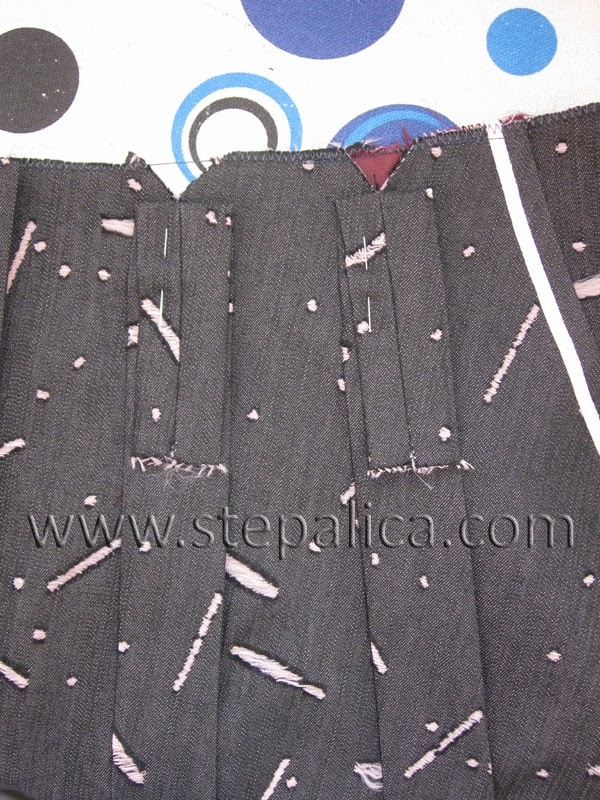 If you want to trim the waist yoke with a band, like I did on my view A skirt, now is the time to do it. 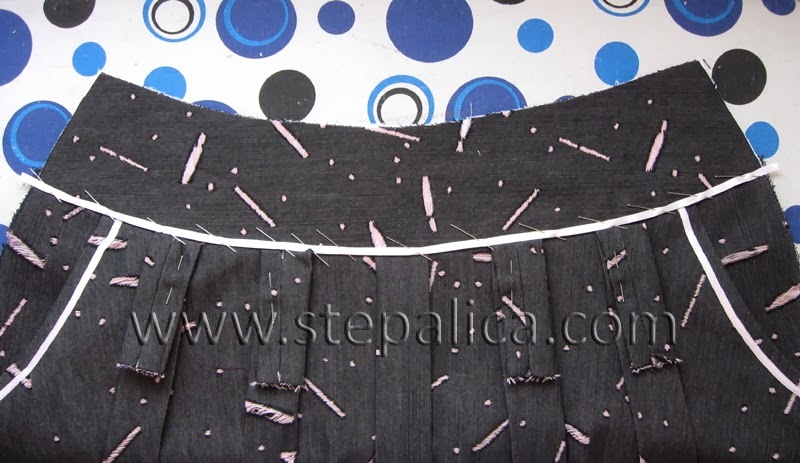 Press the seams and pin the band to the skirt, then sew it. 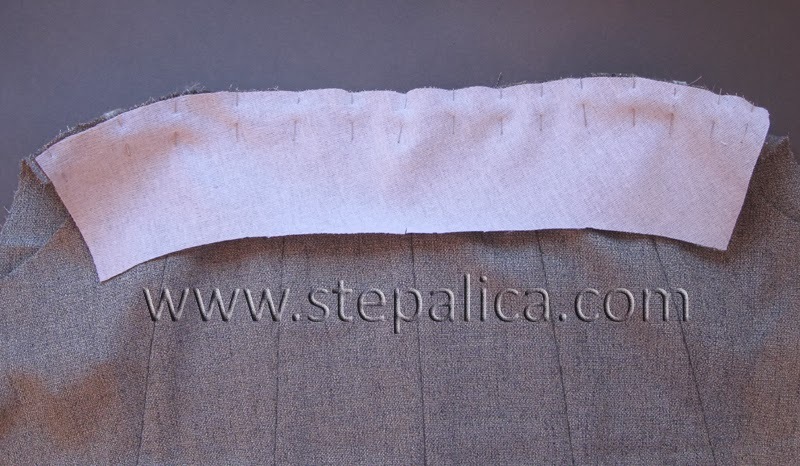 Straighten up the belt loops so that they form straight lines with the lower pleats. Pin the loops to the top of the waist yoke. 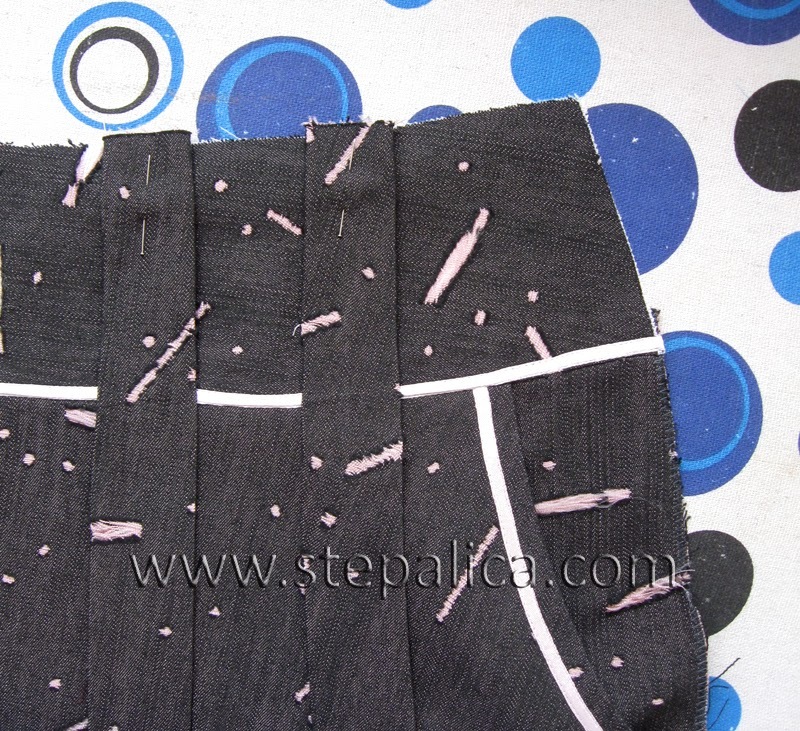 Optionally, baste or machine stitch the tops of the loops to the top of the waist yoke. It's time to sew together the skirt panels along the side seams. I suggest sewing the right side seam first. 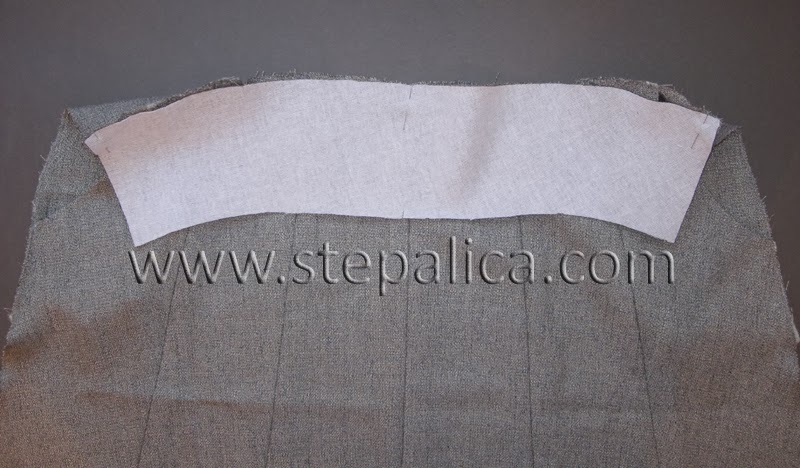 Make sure all the horizontal seams are perfectly matched along the side seam. With right sides together pin the layers and then sew them with machine. Press the seams open. 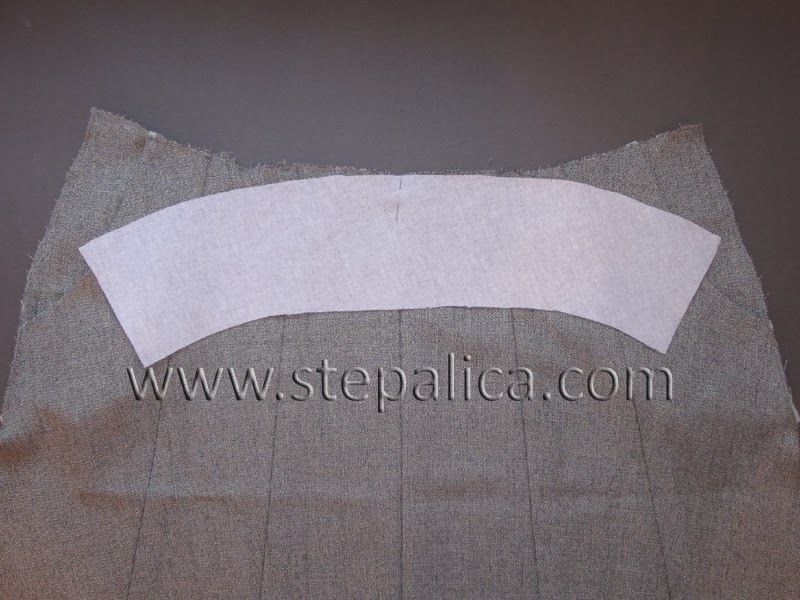 When sewing the left side seam, leave the seam open in the top part, in order to insert a zipper. 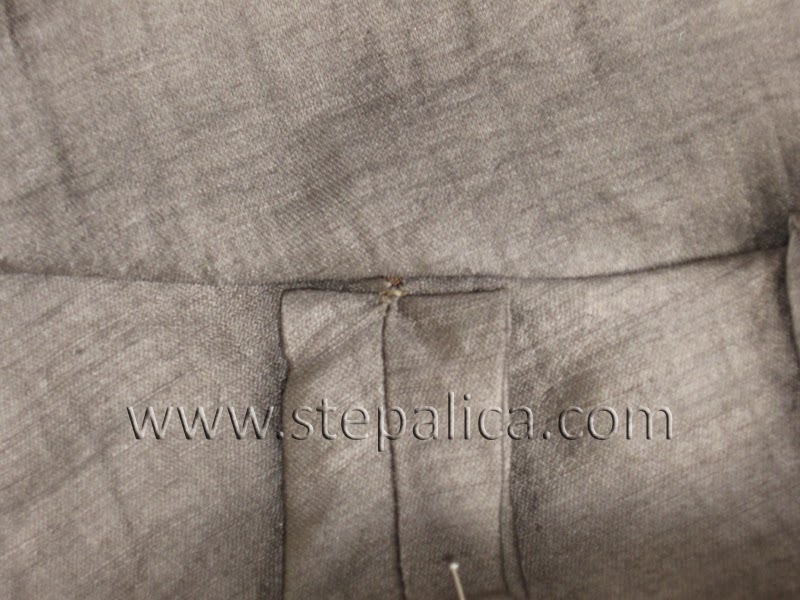 Note that in case you're sewing an invisible zipper, the slit should be 2 - 3 cm shorter than the length of the zipper. The skirt is almost finished, and now you can finally see how it will look when done. Also, you can try it on and optionally make any required fitting alterations to it. Tomorrow we'll sew the invisible zipper.